Hal Jordan, Green Lantern of Earth and other "local" star systems, flies a little too low to the ground on occasion, roughing up that once pristine Green Lantern Symbol. The result? Our Green Lantern Symbol Distressed T-Shirt! Made from 100% cotton, this Green Lantern t-shirt features a purposely distressed, bright green, Green Lantern symbol resting over it's equally distressed, equally bright, white circle. Oh, and the t-shirt? It's green. A very welcoming, Green Lantern-approved green. 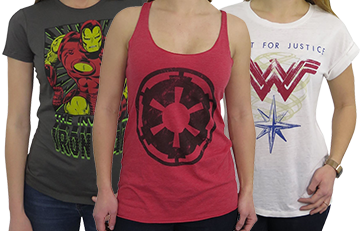 Please note that the t-shirt blank and symbol might have some slight variation due to the manufacturer! This was a present for my father in-law. That is his fav, comic book character! Looks great - I am excited to give to my husband for his birthday! I'm 6'8" And 300 lbs. Finding a good quality shirt that fits is a challenge. 4x shirt fits great! Great product, great service. Fast shipping. I was so shocked that it came in a size perfect for me. This shirt worked so well. Fit well. Bought for a friend and he loved it. It arrived quickly and in great condition. Love it! Great quality, color & fit. Great shirt but the sizes are pretty large! The Green Lantern shirt is the awesome. The Lantern Symbol is the best part. I now know I have the willpower to wear this shirt! The shirt worked out great. Very nice detail on the Green Lantern symbol. First time ordering from SHS.com, and I had a great experience. The shirt fits great, and the shipping service was very fast and easy. Great shipping service, opened the package and it came with a comic. Pretty cool! Overall, awesome shirt! 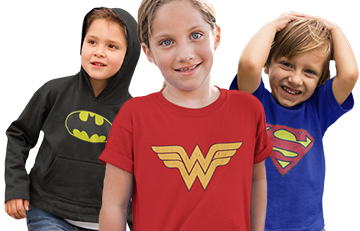 Great material, great sizing, just your awesome GL shirt! First time using this site, and I already know I will use it again! Thank you SuperHeroStuff! anne, i love my man is a dork sometimes! Logo cracked when I recieved it in wrapper. It's supposed to look that way, it's distressed. I love the shirt! It is top quality! Always wanted to be a member of the Green Lantern Corps! This shirt is great quality, he wears it all the time. The color is vibrant and the fit is true to size. Great buy! I am now in the process of buying all the colors for him. Just as I expected it to be. 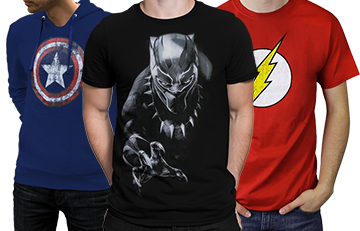 Awesome shirt if you're looking for a great superhero shirt! Print also held up wonderfully after a few washes too!